The students, staff &amp; alumni of Ba Hons CG Arts &amp; Animation have been commissioned to produce an original sixteen minute animation to accompany a live performance of classical music by the Orchestre Symphonique de Bretagne on July 12th, 2013. 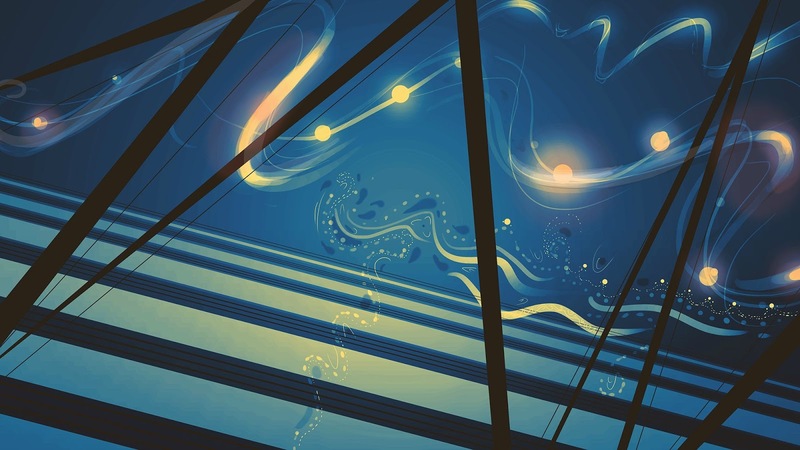 In response to ten extracts from the piece of music to be performed by the Orchestre Symphonique de Bretagne, the CGAA community is creating synesthetic 'speed paintings' from which the commissioned animation will originate. You can listen to extract number three below. The collection of paintings that follow were envisioned by the CGAA community in response to this extract over the course of one day.